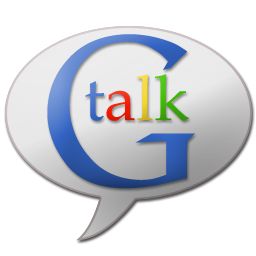 Google becomes nostalgic on Google talk or gtalk which is replaced by the hangout of Google plus.One of the most popular services provided by Google which was Gtalk or Google talk and Orkut was captured social media market with help of Gtalk. Google Talk was the official video-chat service for Gmail and Orkut users for quite long time, but since Google+ and its 10-person Hangouts now dominate the former’s feature-set the latest out of the Google camp is nothing surprising but they become nostalgic in Gtalk . Fred Brewin, Product Manager (Google) says in latest blog post about Google talk again .Google Talk’s video chat service, which allows members to chat one-on-one with their friends and family,will now be replaced by Hangouts in Gmail.No longer will users be confined to talking to just one soul at a time, though that option is obviously still available if you so choose. You’ll also be able to take advantage of the unique sharing features such as watching embedded YouTube videos anyone posts into the chat. Gmail users will need to sign up for a Google+ account to do more than the one-on-one bit, but that should be no issue considering your current Gmail account will also act as your illustrious new Google+ account. The service is available today for those with personal Google accounts while those on a Google Apps account will begin to see it in the coming weeks.starting today with personal Google Accounts, followed by Google Apps accounts on the Rapid Release track in the coming weeks and later by Apps accounts on the Scheduled Release track.Simply we can say , Google becomes nostalgic on Google talk video chat to be replaced with Hangouts in Gmail. What’s next from Google ? YouTube as Youtube has already changed comment system,my notion that it would be an awesome combination especially if Google allowed the ability to record Hangouts in near future. Very Interesting development by Google.I really like your post. umain30, this is a good and informative post. Thank you for sharing. this is a nice feature included by Google in Gmail. I don't think the Gtalk client will be featured with it.